Many pre-service teachers feel under-prepared to teach students with a diverse range of needs and abilities and continue to be concerned about classroom behaviour management when undertaking practicum experiences. In order to address these concerns, teacher educators have explored alternative pedagogical approaches, including computer based simulations and immersion in virtual worlds. 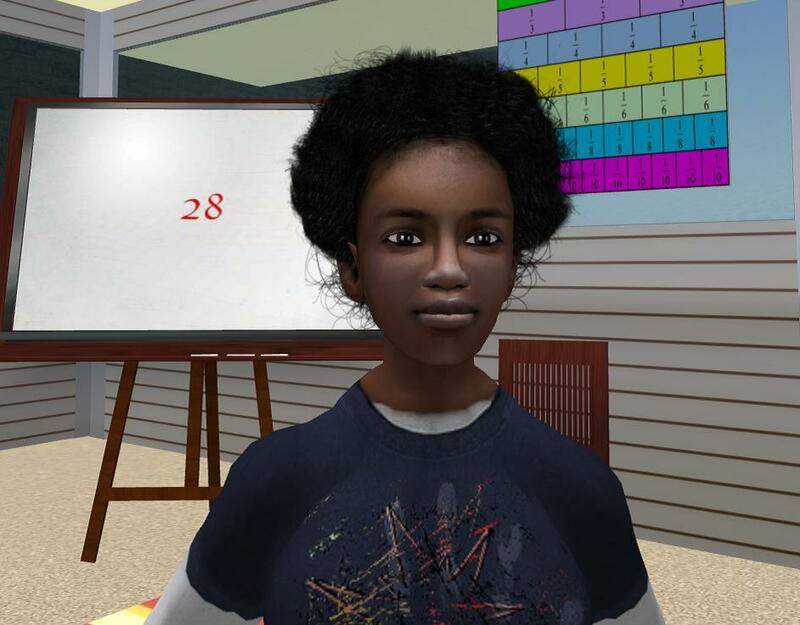 This paper reports on the results of a pilot study conducted with eight pre-service teachers who operated avatars in a virtual classroom created within Second Life (SL)™. The pre-service teachers were able to role-play students with a diverse range of behaviours and engage in reflective discussion about their experiences. The results showed that the pre-service teachers appreciated the opportunity to engage in an authentic classroom experience without impacting on "real" students, but that the platform of SL proved limiting in enacting certain aspects of desired teaching pedagogy. The findings of this pilot study are discussed in relation to improving the preparation of pre-service teachers for practicum. Integrating theory and practice within pre-service teacher education programs has long been identified as problematic (Korthagen, Loughran and Russell 2006; Lenz Taguchi 2007). Unlike in other professions, pre-service teachers tend to bring to their preparation firm attitudes and beliefs about what comprises good teaching and good teachers from their own prior experiences as school students (Lortie 1975; Sirotnik 2001). These types of predispositions have been shown to exert a much stronger socialising influence on pre-service teachers than either their teacher education program or subsequent socialisation into the workplace (Zeichner and Gore 1990). Accordingly, one of the biggest challenges confronting teacher educators is to impart theoretical understandings that go some way at least in altering the deeply-held, acculturated views of teaching and learning that prospective teachers bring to their pre-service education (Segall 2002). It has been widely argued that this will not occur without the introduction of new and more effective pedagogies that enable pre-service teachers to both conceptualise and also enact ways of doing and behaving in the classroom (Yayli 2008; Meijer, de Graaf and Meirink 2011). One of the areas in which pre-service teachers' predispositions remain most intractable in teacher preparation is behaviour management (Wubbels 2011). Many pre-service teachers have been shown to rely upon "tried and true" methods from their own schooling (Allen, 2009), with little consideration for new times, new generations of school students and, most importantly, new social behaviours. Also at play is the cautious anticipation, if not fear, that most pre-service teachers experience in relation to behaviour management (Darling-Hammond and Bransford 2005). Although strategies to promote positive behaviour cannot be separated from other dimensions of teachers' pedagogy, behaviour management has consistently proven to be the one that causes most pre-service (and in-service) teachers concern (Woolfolk and Margetts 2007). Therefore, it is incumbent upon teacher educators to ensure that those being prepared to enter the profession are equipped with knowledge and skills around behaviour management, both as they progress through their degree and upon graduation. Another particular source of anxiety for pre-service teachers is their capacity to cater for the education of students with diverse needs and abilities (Hemmings and Woodcock 2011). Regular classroom teachers have an increasingly important role in implementing inclusive educational practices (Attorney-General's Department 2006; Australian Institute for Teaching and School Leadership 2011; Forlin and Chambers 2011; UK Department for Education 2012), yet pre-service teachers often state that they feel under-prepared to teach students with a diverse range of needs and abilities, citing: (1) the limited time devoted to inclusive education in pre-service teacher education programs; (2) a lack of experience in primary or secondary inclusive education settings in terms of their own schooling background; and (3) the increasingly greater demands upon classroom teachers to effectively include all students (Hemmings and Woodcock 2011). A strong practicum component is acknowledged as essential in teacher preparation, yet many pre-service teachers report that the in-field experience provided by practicum does not effectively prepare them for their professional role (Gregory et al. 2011). Due to increasing enrolments and limited availability of suitable field placements, many pre-service teachers are often restricted in their access to quality practicum experiences. Even when placements are found and undertaken, there is no guarantee that pre-service teachers will be exposed to exemplary practices or have the opportunity to trial behaviour management approaches, particularly those associated with students with additional needs that are advocated through their university programs. A common strategy to prepare pre-service teachers for practicum experiences and to encourage them to engage in discussion about classroom practices has been to use videos of teaching sessions. Teaching videos have been regarded as an effective means of deepening pre-service teachers' learning (Llinares and Valls 2009), with follow-up discussions used to assist pre-service teachers to appreciate alternative viewpoints and to think more critically (Lin, 2005). While we have used such resources with our pre-service teachers with some success, we recognise the limitations in providing examples that are seen as truly authentic by pre-service teachers. The static nature of the footage also limits active engagement and participation and lacks the sense of a "lived experience" that SL can provide. Responding to similar concerns, some teacher educators have explored alternative approaches, including supplementing traditional practicum placements with professional learning in the virtual world (Christensen, Tyler-Wood, Knezek and Gibson 2011). One such virtual world is Second Life (SL) (www.secondlife.com) - a popular, online 3D world where each user has an avatar (graphical representation of the user or user's character) that represents him or herself (Campbell 2009). While a common use of virtual worlds is in multiplayer online role-playing games (MMPORGs), SL is not a game but, rather, a space for social interaction (Baker, Wentz and Woods 2009). The avatars interact with each other through conversations and gestures (Gao, Noh and Koehler 2009) in a non-scripted environment that is beginning to show its potential for use in educational settings. Virtual worlds have been utilised as communication spaces, simulation of space, and experiential spaces (Hew and Cheung 2010). Of most relevance to this paper is the use of virtual worlds which have been designed to create simulations of real world phenomena to provide opportunities for experiential learning and training (Eschenbrenner, Nah and Siau 2008). In 2008, it was estimated that nearly 12 million unique SL avatar accounts existed worldwide and SL is being increasingly used in educational contexts, with over 100 universities conducting classes or sessions in SL (Gao et al. 2009). The benefits noted by educators include the opportunity to conduct activities and tasks in a risk-free environment, enhanced collaboration and communication between participants, particularly those who are geographically dispersed, and increased engagement (Gao et al. 2009). While no specific pedagogical model for developing instruction in SL is apparent, there are some principles of instruction that were devised by Driscoll (2005, as cited in Atkinson 2009) which provide for useful consideration. The principles are as follows: (a) the learning process engages learners through exploration and reflection; (b) learning is embedded in a 3D environment where learners interact through role-play; (c) learning is proactive and collaborative where learners test and compare multiple perspectives; and (d) learning simulates real life in authentic contexts through real world activities, behaviours, actions and events (Driscoll 2005 as cited in Atkinson 2009). According to Atkinson (2009), instruction in virtual worlds should involve immersion, interaction, identity and integration. While these aspects could arguably also be applied to learning in the physical world, they were taken into account when designing and implementing the pilot study described in this paper. Although the body of literature concerning SL practice in teacher education is limited, some research studies and anecdotal evidence show that teacher educators have begun experimenting with the use of SL to both supplement pre-service teachers' learning and as part of their preparation for practicum (e.g. Cheong 2010; Gregory et al. 2011). Given that it is not always possible for pre-service teachers to have sufficient opportunities to practise teaching prior to their work in a classroom setting, SL may provide an additional opportunity for this to occur. Using the environment of SL, Gregory and her colleagues (2011) designed VirtualPREX in order to assist pre-service teachers to acquire a range of professional skills and to develop their self-confidence before they were placed in a real-life classroom. VirtualPREX allows pre-service teachers to engage anonymously and freely in teaching practices and to trial their pedagogical strategies. As Cheong (2010) found, SL has the advantage of providing opportunities for pre-service teachers to improve their teaching abilities without impacting on "real" students. According to Gregory et al. (2011), the pre-service teachers who had used VirtualPREX reported that they found the experience of role-playing students and teachers in SL to be interesting, novel and valuable, with the main drawbacks being the limitations associated with text chat in slowing down the actions. Although SL does support spoken interaction, this facility was not incorporated into the VirtualPREX experience. More recently, the study of Gregory and Masters (2012) suggested that role-plays for pre-service teachers conducted through SL could approximate the benefits of equivalent face-to-face role-plays. Gregory and Masters (2012) argued that, with the potential for additional flexibility afforded by role-plays through SL, further research and experimentation is warranted to explore the utility of SL in this and other contexts. This paper reports on research that goes some way in responding to this identified need. How valuable did the pre-service teachers find the environment of SL in terms of taking on and managing a diverse range of student behaviours? The aim of the SL design was to create a highly immersive environment that was, within the constraints of the virtual environment, typical of an upper-primary classroom. Creating the virtual classroom was a three-stage process involving conceptualisation, locating and purchasing objects, and assembling the objects into a finished product. Techniques for building in a 3D world were applied, including the need for: proportions to be upsized [a] from the physical world; clear areas in which students can gather before entering the classroom; and views to the outside to be available, given that enclosed areas can create a sense of discomfort among users. Textures for these elements were chosen carefully to give a sense of space, light and realism. Virtual chairs and tables, notebooks, pens and other classroom decorative items were purchased using in-world currency (known as "Linden dollars"). A screen shot of the classroom is shown in Figure 1. Further infrastructure that was added to facilitate and record the sessions included signage and instructions and a specialised 3D navigator joystick was used to smoothly pan and zoom camera viewpoints. Video capture software (Snapz Pro X) and video-editing software were used to record the live sessions and to produce the final movies (machinima), which were uploaded onto the "vimeo" website for ease of viewing. Matak is a 12-year-old boy who arrived in Australia from Sudan three months ago, having spent the previous ten years in a refugee camp in the Congo. He speaks English and comprehends spoken English quite well, but it is apparent that he has not learnt to read or write and often misinterprets colloquial and/or non-literal language. He does recognise most letters of the English alphabet and the symbols for numbers up to ten. In class, Matak is frequently off-task, leaving his seat during personal work time to walk around the room and/or check the contents of his school backpack. Matak speaks very politely to the teacher, but rarely seeks help or initiates interactions with adults other than his mother. He often seems withdrawn and in a "daydream" but is reluctant to share with others what he is thinking about. Matak loves to play soccer. He is fast and quite skilful for a boy of his age. This year, he has joined the school futsal team and is beginning to make friends with some of his classmates through the sport. Also provided to participants was a list of typical student avatar behaviours. For Matak, these were:	Leaving seat, picking up/holding school backpack, walking around classroom, swinging on chair, avoiding eye contact, kicking a soccer ball. While it eventuated that not all these actions were able to be performed by the avatar, they were originally included in order to fully portray his character. Once ethical approval was obtained from the relevant Social Sciences HREC, pre-service teachers enrolled in their second and third year of the Bachelor of Education (Primary) program (2011) were invited by email to participate in the pilot project. Eight female pre-service teachers who were enrolled in their second or third year of study eventually volunteered to participate, after we sent out a number of requests. This number, though disappointingly low, was considered appropriate for the purposes of the pilot study as each session needed to be restricted to eight or less participants to avoid noise congestion and audio feedback associated with using the SL voice mechanism. All eight were studying the course either fully or partly online, six were mature-aged, and only one had any prior experience with using SL. At the beginning of the project, participants were given self-guided tutorials in SL to assist them with movements, gestures and speaking. In hindsight (and as discussed further in this paper), participant feedback indicated that more time was required in order for them to feel confident with operating in the SL environment. Consequently, some designated teaching sessions were preceded with "warm-up" tutorials to practise actions and gestures. Initially, pre-service teachers played the avatar role of students and one nominated researcher played the role of the classroom teacher. This assignation of roles was selected in order to allow pre-service students to reflect and later debrief on the responses made by the teacher avatar (played by a lecturer) about the types of responses she made to student avatar behaviour. It was also done to alleviate pre-service teachers' initial reluctance to take on the teacher role as many felt that it would be too challenging to do this until they were comfortable with operating within the SL environment. Fortunately, one pre-service teacher felt confident enough to take on the role of the teacher, Miss Carpenter, in the fifth and final session. A total of five sessions were conducted over a period of six months. It was initially intended to hold six to eight sessions but, due to factors such as participants' availability and individual limitations with access to technology, a number of sessions had to be cancelled and rescheduled. All the participants were physically dispersed and logged in from their home environments. The topic for each session varied as did the number of participants in the sessions. Table 1 provides an overview of the sessions within the action research cycle, the number and names of participants and the data collected. While the student avatars were the same, they were not necessarily always role played by the same pre-service teacher. The educational developer, who had his own avatar, attended each session to provide support and to record the machinima footage. Each recorded lesson ran for between 20 and 30 minutes and was immediately followed up with a debriefing session, which was also recorded. As Table 1 shows, the first cycle of the action research process involved conducting the reading of Who Sank the Boat? (Allen 1998). Following this session, the researchers reflected on the outcomes and noted any issues that arose, both in terms of behaviour management and operating within the SL environment. Information collected was then used to inform the next phase of the cycle, which involved a number of shorter interactive activities. Similarly, as a result of the first session, it was deemed appropriate to seek more detailed feedback from participants; hence a recorded reflection session occurred as part of the second cycle of the action research process. A similar pattern continued throughout the process. Data collected consisted of machinima recordings of the lessons, which were fully transcribed, along with audio recordings of debriefing sessions, also fully transcribed. In the debriefing sessions, also conducted via SL, the participants were typically asked to reflect upon how they felt about taking on the role of the student avatar and how they decided to behave. Issues associated with operating within the SL platform were also discussed. Additionally, participants were asked to complete two evaluation activities in which they viewed the machinima footage, answered questions about aspects of the lesson and provided feedback on the overall experience of SL. Questions asked in relation to viewing the footage from the third lesson conducted included both a focus on teaching approaches and questions about the usefulness of the experience. For example, questions such as "What did the teacher do when she asked Monty to sit and he didn't?" and "Why do you think she did this?" were used to evaluate the pre-service teachers' ability to reflect upon and analyse behaviour management practices. Other questions, such as "Do you think it is possible to recreate an authentic classroom experience using SL? Why/why not?" and "What do you see as the main limitations or restrictions associated with participating in the virtual classroom?" were used to evaluate the experience itself and to solicit feedback about the usefulness and relevance of the SL platform. The transcripts were all fully transcribed and manually coded with the material being classified into themes, issues and topics (Burns, 2000). For example, instances of participants' role playing according to their students' character descriptions were noted, as were instances of reflection and observations about teaching approaches. Separate themes were identified in relation to the issues associated with operating within SL; these included limitations which impacted upon the choice of teaching approaches, frustration associated with actually operating the avatars and technological difficulties associated with being on-line and accessing the classroom. These themes are described and discussed in the following section. Due to the nature of the action research process, this section contains both details of some of the procedures conducted with the participants, along with the results that were obtained. In the first of the five lessons, many of the participants had difficulty with controlling the movements of their avatars, and this seemed to detract from their ability to take on the behavioural characteristics of their assigned student avatar. In addition, the selection of a picture book as a focus of the lesson proved challenging, in that the participants were required to "visualise" the pictures in the story because it was not possible to replicate the turning of the pages using the SL platform. Miss Carpenter: Right, could you sit down Monty? Are you going to join us? Can you suggest a problem where the answer is 28? [no answer] Matak, can you sit down? Thank you. All right - I want some subtraction problems where the answer is 28. Matak, could you give me a subtraction problem where the answer is 28? Matak: 35 minus 7 equals 28. Miss Carpenter: Thank you. 35 minus 7 is 28; well done. OK, Willow, did you hear what Matak said? Willow [talking with classmate]: Yes. Miss Carpenter: Good, can you give me a subtraction problem where the answer is 28? Willow: Um, 30 take away 2 is 28. Miss Carpenter: OK, so we're going to start today by playing a game called "Count around the circle." Does anybody remember how to play that? Matak: I haven't played this before. Miss Carpenter: OK, so we start with a number and I think we might count by twos. So if we start with you Monty, you'd say 'two', and then Matak, what would you say? Miss Carpenter: Ten? Can anybody help Matak out? Naomi: 14, oh no sorry, 12. Miss Carpenter: 12, so we had 8, 9, 10, 11, 12. What can you do if you don't know what the next number will be? Naomi: Count on your fingers. The conversation continued in a similar vein and, although the transcript showed that the participants were willing to contribute some incorrect answers, they did not portray any real behavioural challenges. Mahon et al. (2010), in a similar study to ours, found that pre-service teachers in the role of student avatars, tended to manifest the behaviours assigned to them, namely to be disruptive and to misbehave. In the study of Mahon et al. (2010), these tendencies might have been attributable to the inclusion of "bots" (an abbreviation of "robot" and refers to pre-programmed computer-simulated character/s) in the simulation and to the provision of specific instructions given regarding, for example, the number of times students were allowed to interrupt. In our pilot study, this was not the case; participants were asked to interpret, and then enact, their roles within the virtual classroom. "I'm not feeling I can do things with my avatar ... I've tried the inventory and it's not responding and I can't stop my avatar from doing this constant stretching backwards so, other than speaking and sitting, I'm not feeling that I can actually control the avatar ... with calling out, if I talked when someone else was I got feedback, so I didn't call out as much as I could, or as it said in the character's description ... I feel that I can't actually do the things that I suppose define my character; I feel that Monty is being defined by the program." Several participants' responses indicated that the environment proved limiting in terms of restricting movement and enacting particular behaviours. Other participants raised similar concerns and, as a result of their feedback, and in keeping with the action research process, the next session included an introduction whereby the participants were able to demonstrate the gestures within their inventory in response to the lecturer's commands (e.g., "Everyone, raise their hand"). It was also decided to limit the gestures available to five or six and to concentrate more on the verbal exchanges that could occur. Confusion with ordering fractions - might think, for example, that 1/9 is larger than ¼ because 9 is bigger than 4; would have difficulty with putting fractions in order on a number line; could probably say that 2/4 is the same as ½ but not consistently; no real understanding of the relative size of a fraction or that a fraction is also a number; if asked to add fractions, would say that ½ and ¾ would be 2/6. Miss Carpenter: Willow, what would you say if I asked you which was bigger - a quarter or a third? Willow: A quarter is bigger. Miss Carpenter: A quarter is bigger? How do you know it's bigger? Willow: Because it's got the number 4 and 4 is bigger than the number 3 because 4 is one more than 3. Miss Carpenter: Do you remember what I was saying before and how we were dividing up that piece of chocolate? So, having a look at our fraction wall, if we were to cut up our piece of chocolate into quarters, how many pieces would there be? Willow: 1, 2, 3, 4. Miss Carpenter: Excellent, and we would divide those pieces among four people. If we divided our piece of chocolate into thirds, how many pieces would we have? Miss Carpenter: OK, and are our purple pieces [representing thirds on the fraction wall] bigger or smaller than our light blue pieces [quarters]? In this context, the teacher was able to demonstrate explicit teaching in relation to explaining the concept of a denominator and the relative size of fractional parts. This could then be used as a basis for future discussion when reflecting upon the machinima footage with the participants after the lesson. This focus was taken by researchers to explore whether or not the SL environment could also be used to investigate other aspects of teaching, besides behaviour management. What did the teacher do when she asked Monty to sit down and he didn't? Identify three things that the teacher did that you thought were effective or examples of good practice. Name one to three aspects of her teaching approach that you would question or change. Responses to these five questions indicated that the pre-service teachers were able to identify that the teacher effectively ignored Monty's behaviour so as not to disrupt the lesson, but then tried to encourage him to participate through asking him a question related to the lesson. One of the pre-service teachers acknowledged that she would have adopted a different approach, suggesting that: "I probably would have lost track of learning and tried to establish why Monty wouldn't sit and address his refusal to cooperate ... it's hard to say..." Some responses also provided insight into what the pre-service teachers valued as good teaching practice. For example, Amy suggested that Miss Carpenter should not have called Willow "a good girl" for correctly answering the question but, rather, for making a contribution to the class. Others noted positive aspects about the teacher's performance, including her questioning technique, her provision of "wait time" and her use of positive reinforcement. The reflection process itself proved powerful, in the view of the participants, in that it enabled them to reflect on their own practices so far in their pre-service program in dealing with a diverse range of student behaviours. Through discussing the actions of the teacher avatar and their own and other student avatar responses, they were able to explore some different behaviour management techniques. Participants also commented on the value of peer engagement and reflection. As partial/fully online and geographically dispersed learners, they were able to interact with others in ways that were not always available to them. If the comments above from Angie were representative of the group, the lack of time spent being the "teacher" may be seen as a limitation of this virtual classroom experience for the pre-service teachers. Notwithstanding, the opportunity to view the classroom experience from the students' perspective may have been beneficial because it is important to appreciate viewpoints from a range of stakeholders to facilitate inclusive education. It has been reported that approaches combining instruction with direct contact with people with disabilities (self-advocates) have been the most effective for changing pre-service teacher attitudes and confidence regarding inclusive education (Forlin, 2006). There are, however, administrative challenges with arranging these experiences, particularly for pre-service teachers who are studying by distance through online delivery modes. Further research may explore the relative benefits for pre-service teachers of role-playing students with specific educational needs, through platforms such as the SL virtual classroom used here, in terms of enriching pre-service teachers' appreciation of student perspectives on learning and teaching experiences. As with other participants, Lisa viewed the SL activities as a useful addition to "real life" practicum experiences. The pilot study reported on in this paper investigated the extent to which one small sample of pre-service teachers found the SL environment valuable in terms of understanding how to manage a diverse range of student behaviours. On the one hand, our findings show that pre-service teachers valued the opportunity to both participate in the SL sessions in the role of student avatars with challenging behaviours and also to reflect on the teaching approaches used. The use of a virtual classroom enabled real time role-play for geographically dispersed pre-service teachers who did not have access to on-campus facilities or the opportunity to engage in collaborative reflection and peer discussion. In addition to providing a relatively authentic classroom experience, the opportunity to view the footage and reflect on the experience was seen by participants as being one of the main benefits of using SL. Although only one participant was recorded in the role of the teacher, all recognised that this would be a potentially valuable means of reflecting upon their teaching practice. The SL environment and allocation of student avatars meant that participants could participate in a "lived experience" that would not be possible in the physical world. They could represent their character, interact with others and immerse themselves in an experience that arguably could not be replicated as fully in another environment. An added advantage was that the free form nature of the SL environment meant that each session and lesson was different, allowing for different situations to be played out depending upon the contributions of the participants. On the other hand, participants found it difficult to fully adopt the role of their student avatars and tended to co-operate with the teacher, rather than exhibit the challenging behaviours expected from their avatars. Participant reflection data suggest that this was due to participants' lack of experience with operating their avatar in the SL environment. Accordingly, it would seem advisable to provide: (a) ample opportunities for practice before expecting participants to undertake the intended role of an assigned avatar, and (b) more explicit instructions about the number of times specific behaviours were expected to be exhibited. Other limitations, as identified by the participants, included the restriction on the use of teaching materials and aids and the inability to use gestures spontaneously. Although used specifically in this context as a teacher educator tool, SL can also be used to expose students to a new technology, and might potentially increase student engagement, particularly in online classes (Baker et al. 2009). As a result of the findings from this study, we will continue to explore ways in which SL and the virtual classroom can be used as a teacher tool in our courses. Providing pre-service teachers with the opportunity to review and discuss the practice of teaching in which they participated not only offers chances for vicarious experiences and social persuasions (Cheong 2010), but also allows for in-depth reflection and preparation for practicum experiences. It is anticipated that, subject to the provision of adequate time and resources, some of the limitations associated with using SL to replicate classroom experiences will be overcome, allowing it to become an efficient and effective tool in teacher education. Acknowledgement: The pilot study reported in this paper was made possible through a $7000 institutional Teaching and Learning Grant, which was used primarily to employ personnel to develop the site. Allen, P., 1988. Who sank the boat? Camberwell, Vic: Puffin. Allen, J. M., 2009. Valuing practice over theory: How beginning teachers re-orient their practice in the transition from the university to the workplace. Teaching and Teacher Education, 25 (5), 647-654. Atkinson, T., 2009. Second life for educators. Teaching and Learning, 53 (3), 30-32. Attorney-General's Department, 2006. Disability Standards for Education Plus Guidance Notes. Barton, ACT: Commonwealth of Australia. Australian Institute for Teaching and School Leadership [AITSL], 2011. National Professional Standards for Teachers. Carlton South, VIC: Ministerial Council for Education, Early Childhood Development and Youth Affairs. Baker, S.C., Wentz, R.K., and Woods, M.M., 2009. 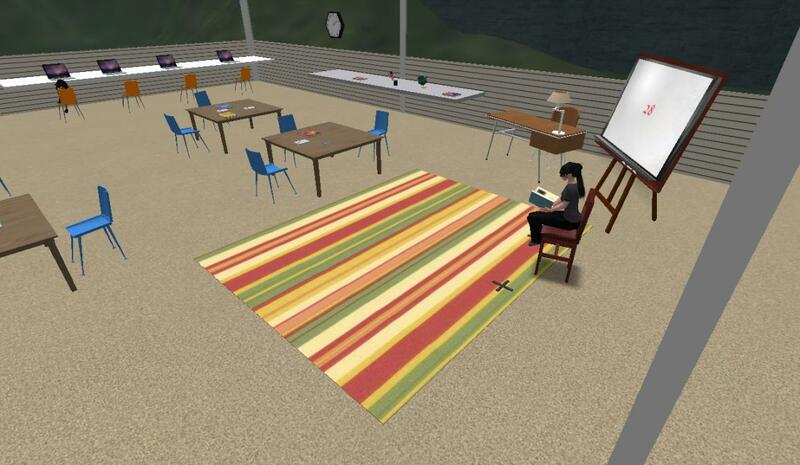 Using virtual worlds in education: Second life as an educational tool. Teaching of Psychology, 36 (1), 59-64. Burns, R. (2000). Introduction to research methods (3rd ed.). Melbourne: Longman. Campbell, C., 2009. Learning in a different life: Pre-service education teachers using an online world. Journal of Virtual Worlds Research, 2 (1), 3-17. Cheong, D., 2010. The effects of practice teaching sessions in second life on the change in pre-service teachers' efficacy. Computers and Education, 55 (2), 868-880. Christensen, R., Tyler-Wood, T., Knezek, G., and Gibson, D., 2011. SimSchool: An online dynamic simulator for enhancing teacher preparation. International Journal of Learning Technology, 6 (2), 201-220. Darling-Hammond, L., and Bransford, J. D., 2005. Preparing teachers for a changing world. San Francisco, CA: John Wiley. Eschenbrenner, B., Nah, F.F., and Siau, K., 2008. 3-D virtual worlds in education: Applications, benefits, issues and opportunities. Journal of Database Management, 19 (4), 91-110. Forlin, C., 2006. Inclusive education in Australia ten years after Salamanca. European Journal of Psychology of Education, 21 (3), 265-277. Forlin, C, and Chambers, D., 2011. Teacher preparation for inclusive education: Increasing knowledge but raising concerns. Asia-Pacific Journal of Teacher Education, 39 (1), 17-32. Gao, F., Noh, J.J., and Koehler, M. J., 2009. Comparing role-playing activities in Second Life and face-to-face environments. Journal of Interactive Learning Research, 20 (4), 423-443. Gregory, S., Campbell, M., Knox, V., Dalgarno, B., Reiners, T., and Masters, Y., 2011. Changing directions through VirtualPREX: engaging pre-service teachers in virtual professional experience. Changing demands, changing directions: Proceedings of the Ascillite 2011 Conference, Hobart, pp. 491-501. Gregory, S., and Masters, Y., 2012. Real thinking with virtual hats: A role-playing activity for pre-service teachers in Second Life. Australasian Journal of Educational Technology, 28 (3), 420-440. Hemmings, B., and Woodcock, S., 2011., Pre-service teachers' views of inclusive education: A content analysis. Australasian Journal of Special Education, 35 (2), 103-116. Hew, K.F., and Cheung, W. S., 2010. Use of three-dimensional (3D) immersive virtual worlds in K-12 and higher education settings: A review of the research. British Journal of Educational Technology, 41 (1), 33-55. Hyde, M., Carpenter, L., & Conway, R., 2010. Diversity and inclusion in Australian schools. South Melbourne, Vic. : Oxford. Kolb, D.A., 1984. Experiential learning - Experience as the source of learning and development. Englewood Cliffs, New Jersey: Prentice Hall. Korthagen, F.A., Loughran, J.J., and Russell, T., 2006. Developing fundamental principles for teacher education programs and practices. Teaching and Teacher Education, 22 (8), 1020 -1041. Lenz Taguchi, H., 2007. Deconstructing and transgressing the theory-practice dichotomy in early childhood education. Educational Philosophy and Theory, 39 (3), 276-290. Lin, P.-J., 2005. Using research-based video-cases to help pre-service teachers conceptualize a contemporary view of mathematics teaching. International Journal of Science and Mathematics Education, 3 (3), 351-377. Llinares, S., & Valls, J., 2009. Prospective primary mathematics teachers' learning from on-line discussions in a virtual video-based environment. Journal of Mathematics Teacher Education. Lortie, D.C., 1975. Schoolteacher: A sociological study. Chicago: University of Chicago Press. Mahon, J., Bryant, B., Brown, B., and Kim, M., 2010. Using second life to enhance classroom management practice in teacher education. Educational Media International, 47 (2), 121-134. Meijer, P. C., de Graaf, G., and Meirink, J., 2011. Key experiences in student teachers' development. Teachers and Teaching: Theory and Practice, 17 (1), 115-129. Muir, T. (2008). Principles of practice and teacher actions: Influences on effective teaching of numeracy. Mathematics Education Research Journal. 20(3), 78-101. Segall, A., 2002. Disturbing practice: Reading teacher education as text. New York: Peter Lang. Sirotnik, K.A., 2001. Renewing schools and teacher education: An odyssey in educational change. Washington, DC: AACTE. Woolfolk, A. and Margetts, K., 2007. Educational Psychology. 10th ed. Frenchs Forest, NSW: Pearson. Wubbels, T., 2011. An international perspective on classroom management: What should prospective teachers learn? Teaching Education, 22 (2), 113-131. Yayli, D., 2008. Theory-practice dichotomy in inquiry: Meanings and preservice teacher-mentor teacher tension in Turkish literacy classrooms. Teaching and Teacher Education, 24 (4), 889-900. Zeichner, K. M., and Gore, J. M., 1990. Teacher socialization. In: Houston, W.R., ed. Handbook of research on teacher education, New York: Macmillan, pp. 329-348. [a] Replicating the dimensions of the physical world in the virtual world can create a confined atmosphere, due to the differences between a screen presentation and the way we perceive our environment in the physical world. To overcome this effect, objects and buildings are required to be scaled up, the spacing in and around virtual buildings needs to be scaled up in a similar manner.